The hair transplant procedure with the aim of regaining full hair has gained enormous popularity in recent years. While the costs for a hair transplant in european countries like the UK, Germany, Switzerland, are as before, very high, many are drawn abroad – especially to Turkey. The land at the bosphorus is known for high-quality cosmetic surgeries. Precisely Turkish hair surgeons have established their reputation worldwide. Over the course of the boom of hair transplantation in Turkey, the clinics that wanted to make quick money while not delivering patient-satisfying results simultaneously, have not been few. In this article, we will showcase the criteria for the best hair transplant in Turkey. What are the important requirements or features of the clinic and especially of the attending physician, to make sure that the hair restoration is being being carried out by a specialised professional? We will go into detail of all criteria after a short introduction – so stick around . At the end of the article you will have the opportunity to view our complete gallery of before and after photos. Just recently, the National player and now football expert, Christoph Metzelder announced to have undergone a hair transplant. 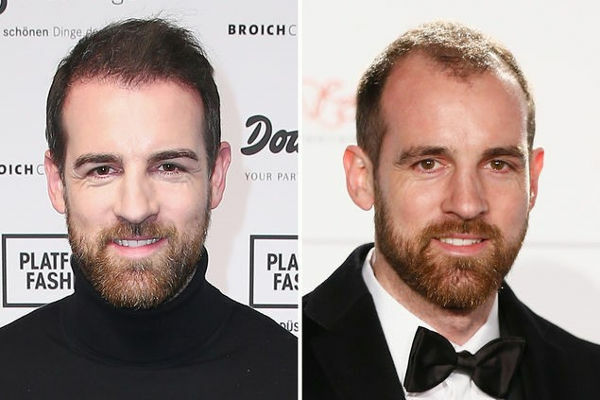 The 35 year old football player had a hair transplant done in 2015 and now after a year, the end result is to be marvelled at in interviews and newspaper articles. Various other celebrities, alongside Metzelder, have made the jump and undergone a hair transplantation. Football coach Jürgen Klopp, national-team player Benedikt Höwedes, actors John Travolta and Kevin Costner and even the still young footballer Wayne Rooney, who has already undergone two treatments, have made the topic hair transplant popular and this plastic surgery socially acceptable for men. In light of that popularity and the increasing interest in such treatments, many are drawn to the Istanbul metropolis in Turkey. In this article, we want to highlight what distinguishes a “great” hair transplantation and what to keep an eye for, when it comes to Turkey as the “land of hair transplant”. 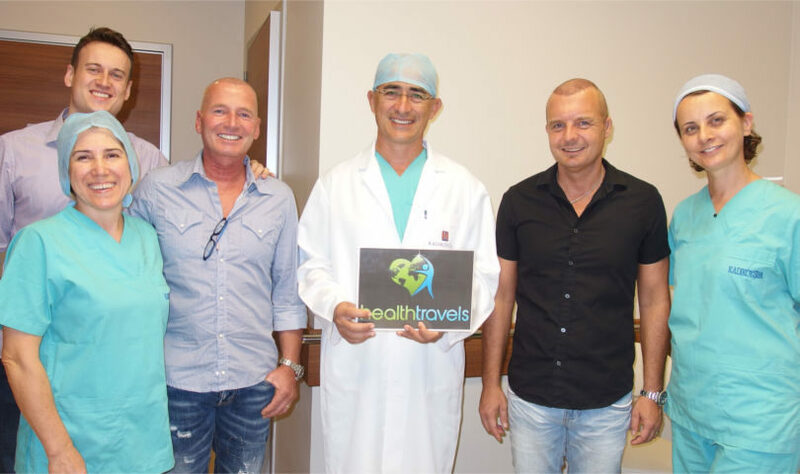 Why travel to Turkey for a hair transplant? Many hundred clinics have jumped on the bandwagon and now offer hair transplantations for natives and especially foreign patients. Medical tourists come for the most part because of the close proximity and excellent air connections, from Westeurope and many Arabic countries. The reasons why Turkey is currently considered the country of hair surgeries and best hair transplants are the costs and the quality. Turkish clinics can offer treatments to 2-3 times more competitive prices than, for example, Westeurope, due to the lower salary and fixcosts. While a treatment in germany costs 10.000+ Euro, for example, Turkish doctors demand 3000- 5000 Euro. Meaning there is a significant amount of money saved. However, the more important reason is the high quality and the experience of the Turkish doctors. Of course, we can not easily generalize, as doubious clinics which do not excel at their profession also exist in Turkey. What is to pay attention to regarding hair transplantations in Turkey? Who performs the surgery? Who is involved? Does the surgeon still “lend a hand” or is everything done by assistants? How much experience does the surgeon have? Where does the operation take place? Certifications of the clinics like TÜV-Siegel (seal of approval) have no real validity when it comes to the quality of the operator and his team and therefore barley relevant. How many patients receive treatment daily? 1-2 or significantly more? When many patients get treated in one day, it would be impossible for the physician to do anything himself. The physician can only observe. The assistants perform the operations. Is there an English speaking contact person? Prior to the treatment, throughout and after? Does the surgeon or the clinic have references in form of photos, patient contacts and reports on the Internet? Before and after photos? 95% of clinics offering hair transplantations are in position to offer extremely low prices (often under 2000 euro). However, they can only do this because 5-10 patients get treated a day, in addition to the assistance doing all the work, from A to Z, instead of the surgen. Even the local care after the OP will go short with so many patients a day. Which methods of hair transplantation are used in Turkey? Nowadays, the FUE technique (Follicular Unit Extraction) is almost exclusively used. The follicular hair units, also known as grafts, are taken separately and implanted into the lacking areas. The advantage of this method is that there will not be permanent scarring left on the back of the head, leaving only tiny dots instead, that are not even visible even with short hair. Beside the FUE, there is also the FUT technology. In this method, a long skinstrip is abstracted from the ring of hair, which is then fragmented into micro-transplants. The FUT-strip technique is only still done in very few clinics in Turkey. A combination of both techniques is also possible. 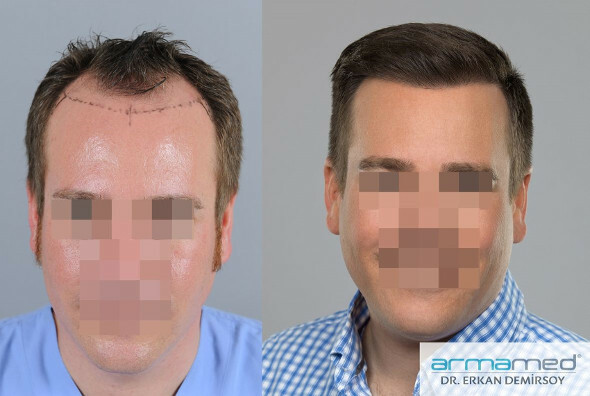 Especially for patients who need an abundance of donor hairs, the implementation of a FUE and FUT technique combination becomes a possibility. On what is the success of a hair transplant dependent? Many various factors influence the hair transplant result. First and foremost, the patient has to be eligible. Meaning enough donor hair should be available to cover the bald areas in a way that it looks natural later and create the illusion of thick hair. For people with a huge baldness and little hairing is a hair transplant often not the right decision ( for example Bruce Willis). Patient’s hair traits and expectations are also important. People with very fine, weak hair can not expect “wonders”. On the other hand, patients with thick and slightly locked or welled hair can achieve thick and voluminous results. Moreover, everyone who plays with the idea having a hair transplant done, should realise that it only intails a hair redistribution. New hair is not produced. Hence, the original hair thickness can usually never be recovered, only a fraction. This fraction, however, will be enough to create the illusion of full hair. Along the personal traits of the patient, the attending physician definitely plays an important role as well. His experience, competence and aesthetic sensitivity in the creation of a new hairline, for instance, are of huge significance. How is a hairline to be shaped? In order for the hairline to look normal, some basic rules must be followed. Light receding hairlines should be kept, especially then when the bald space is very large, while the donor area is limited. Under no circumstances should the hairline be shaped too deep or aggressive, but farsighted and age appropriate. The centimeters at the front should be planted as thickly as possible, where on the first line only transplants of single grafts is used, in order for it to look “soft” and natural. Especially people with thick hair is this very important to avoid the so called doll and toiletbrush look. Whether the hairline runs either round or pointed depends on the headform and taste of the patient. When does the new hair grow? In the first days after the treatment, woundcrusts appear, which will fall off after about 10 days. After that, the newly implanted hair grows for 1-3 weeks, before it falls off again completely. This is a normal process. 2-3 months after the hairimplantation, the hair starts to grow again. One year later, the end result is reached. To undergo the best possible hair transplant in Turkey, a considerable amount of research must be done. One has to carefully look at all the possible supplier and get references, as well as adapting one’s expectations to the hair loss situation. Important note: Do you want us to send you our complete gallery of of before and after photos? Just click this link below!